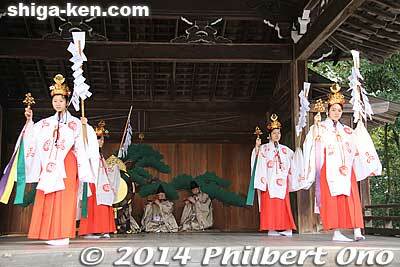 Today on Jan. 1, 2014, I visited Taga Taisha Shrine to photograph the crowds and film the sacred dances. It was my second time at Taga Taisha on New Year’s Day. The first time was way back in 2005. 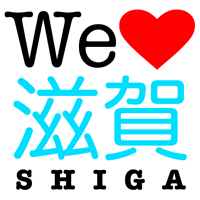 Since I usually visit a shrine in other prefectures (Ise Jingu last year) on New Year’s Day, it’s been several years since the last time I visited a shrine in Shiga for New Year’s. Video camera technology and quality have improved a lot since 2005. I wanted to record the sacred dances in Full HD. 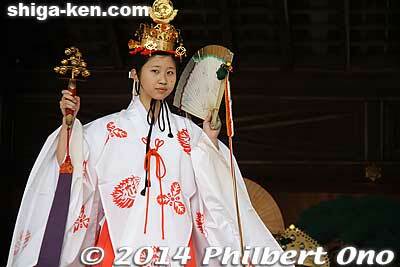 My old low-res video of Taga Taisha’s sacred dance from 2005 became a surprising hit among viewers. So I thought I’d better make a better version (posted above). 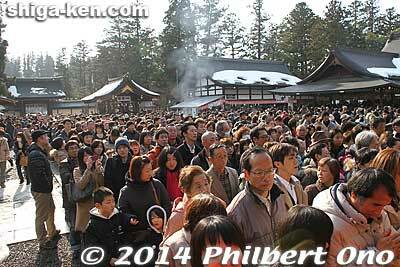 More Taga Taisha New Year’s photos here.